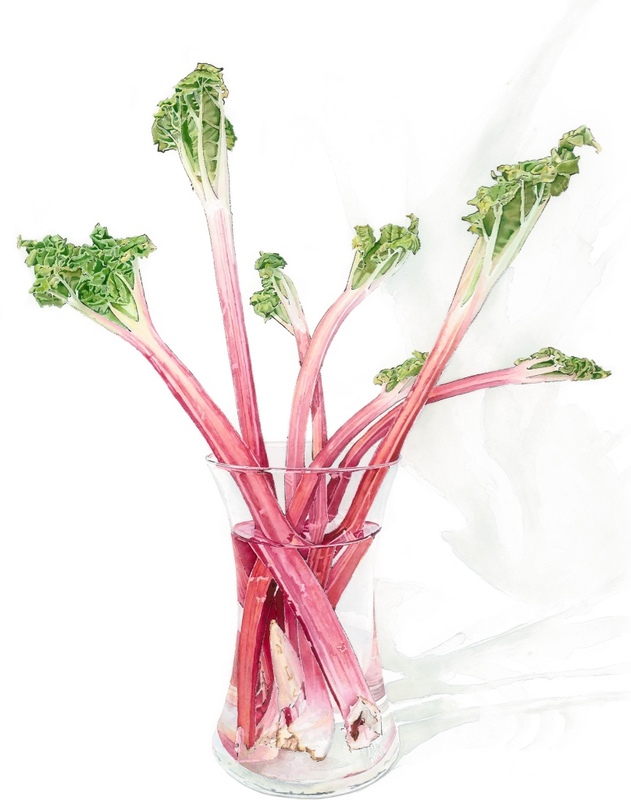 Initially the idea behind Rhubarbrhubarb was to create a painting that reminds me of joy and hope. 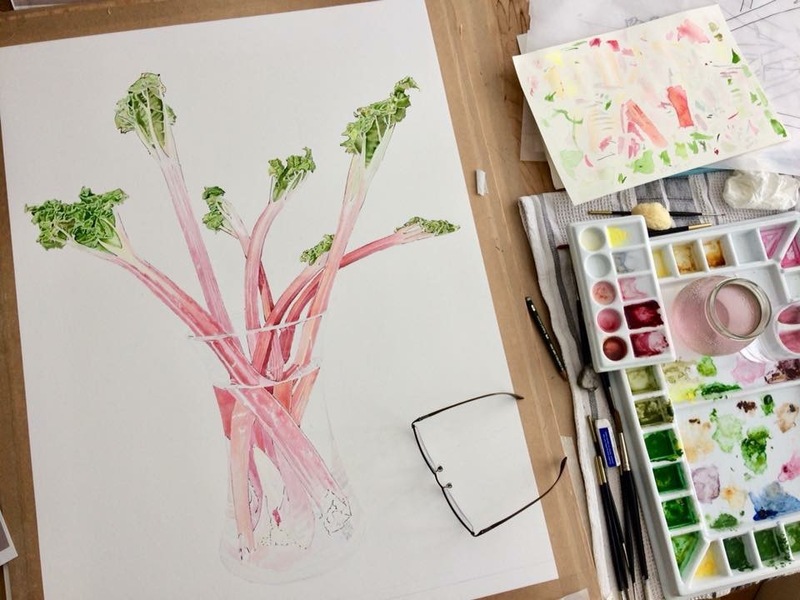 As well as being a beautiful plant, Rhubarb conjures up so many fond memories, from my husband making rhubarb crumble on a Sunday, our cats shading themselves beneath it's canopy to seeing the first tightly curled leaves starting to emerge from the soil in the spring. The shocking pink stalks of forced rhubarb are a welcome reminder that warmer days will soon arrive and life will return to the garden. Over the years we have made crumbles, tarts, wine and chutneys but this season we are having a go at Rhubarb infused gin that should be drinkable in August. 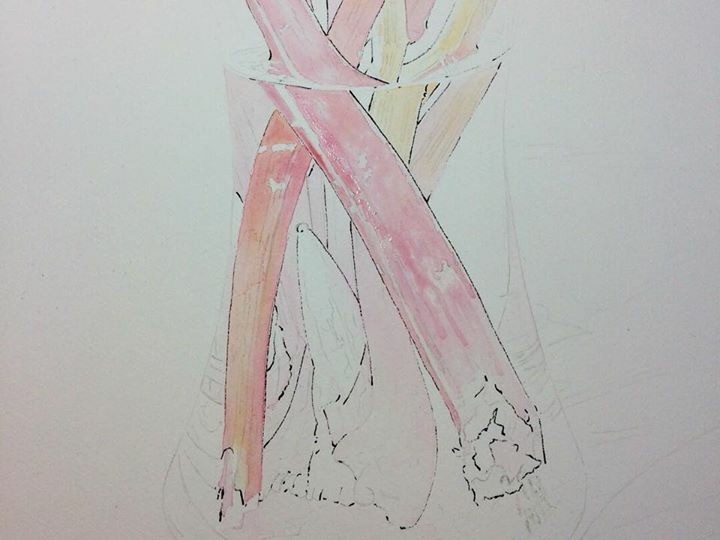 After playing around with several compositions I placed the rhubarb in a vase of water to keep fresh. 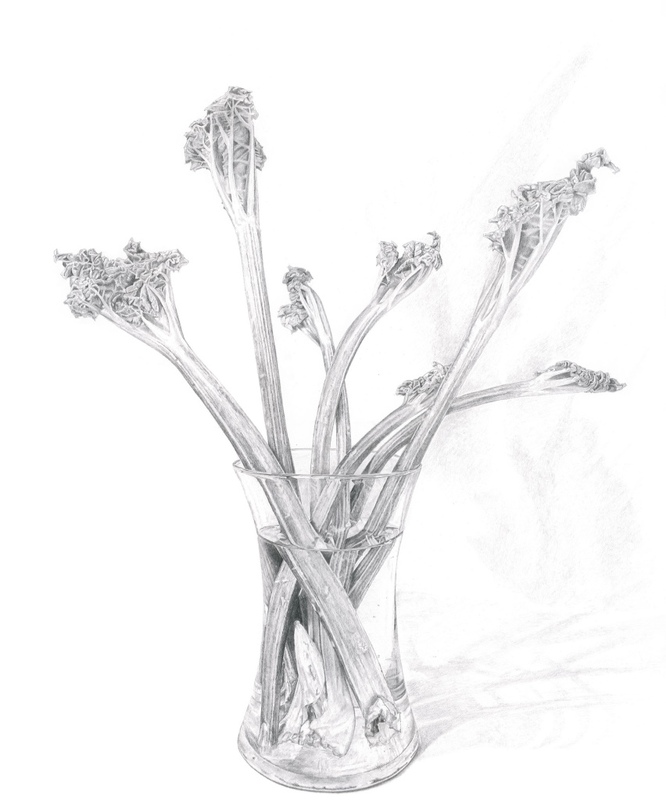 The stalks became distorted as they jostled together in the confined space giving them an other worldly quality. The idea linked into my previous painting, Pint of Prawns and I thought it would be interesting to explore the contrast of textures and refraction. Beginning to add tone to the drawing. 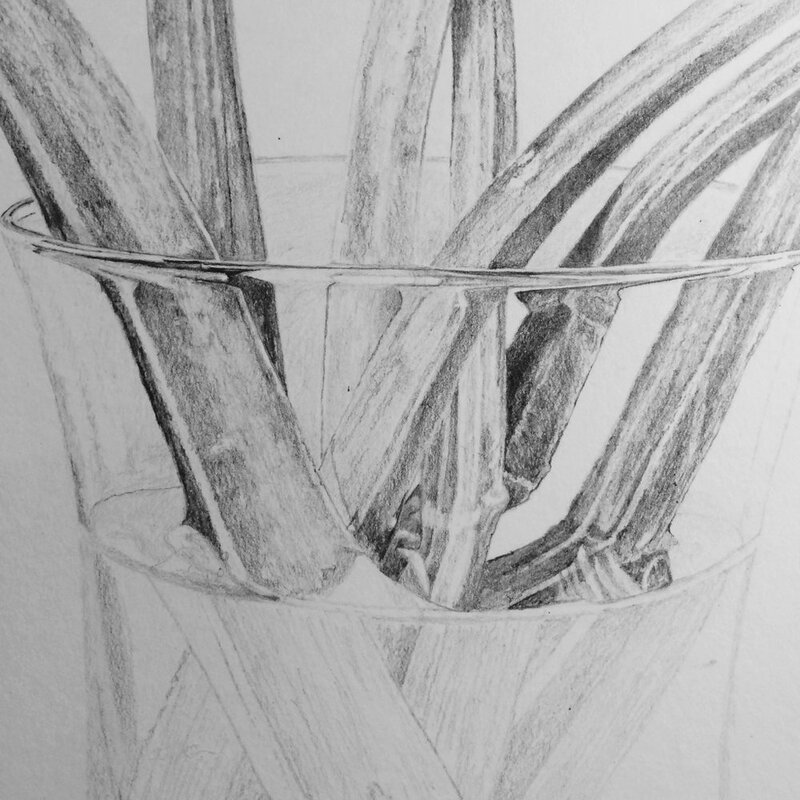 Detail of Rhubarb drawing stalks in vase of water. It's only when I sit down to draw an object that I really understand it. I've looked at Rhubarb many times whilst gardening or cooking and never noticed the subtle changes in colour and texture. It has ridges and lines that become angular then smooth out into graceful arches. 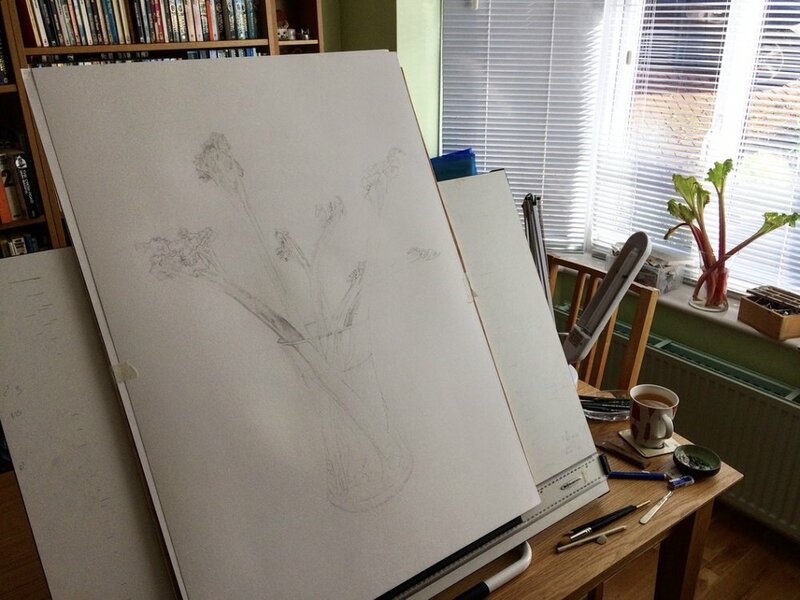 The refractions and water line of the vase were a challenge to draw as I kept losing my place while trying to understand their form and simplify them into shapes. The other problem I encountered was keeping the directional marks of the stalks consistent as the drawing is approximately A1 in size. In the end I lent a bigger board on my upright drawing board and stood up to draw. 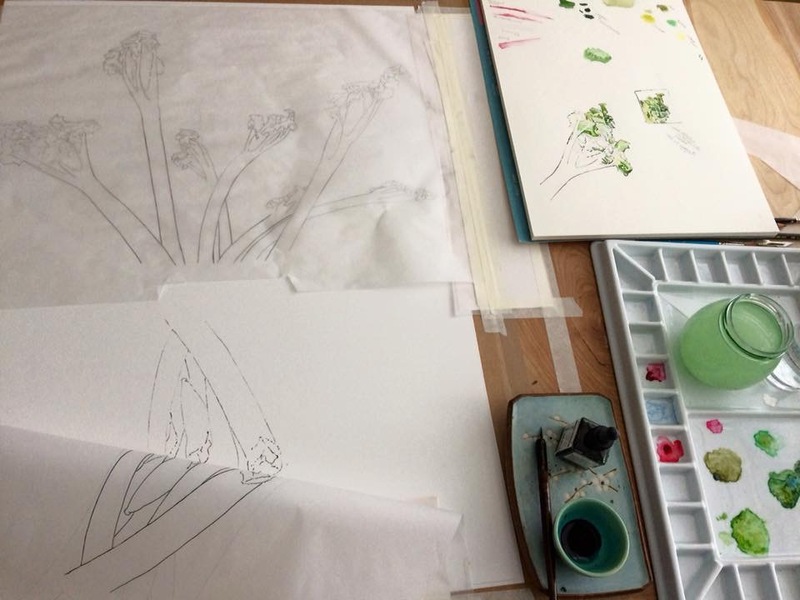 Once the drawing stage is complete I transferred my image onto two separate sheets of tracing paper as it is easier to turn over when using the blotted line technique. It is a very simple method of mono printing famously used by Andy Warhol in his earlier illustrations and gives unexpected marks and textures. Tracing paper is hinged to a new sheet of paper. Using a dip pen pen and ink, trace a small section on the reverse of the tracing paper then print onto the paper. The speed with which you draw can have an effect on the thickness of the line when printed, too slow and the ink can give a heavy line and too fast sometimes gives a faint or broken mark. Once you get used to the technique it's interesting to exploit its characteristics. 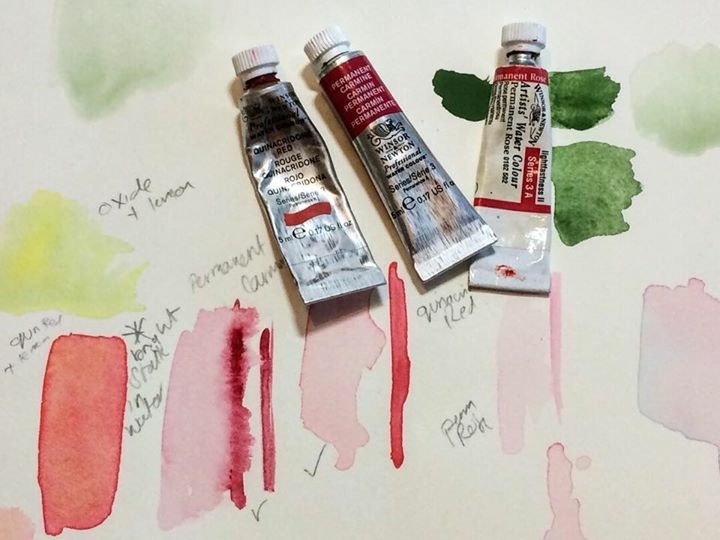 To achieve the reds and pinks of the rhubarb I used a limited palette of Quinacridone Red and Permanent Carmine and Rose. They were either mixed or layered with Lemon Yellow and Winsor Orange. Before beginning this piece I bumped into writer David Hensley who I had previously collaborated with on some of his food poetry. It was wonderful to read his poem as it captures elements of warm flavoursome memories, the joy of spring and a sprinkling of humour.